Born in the properties of one of the most historic industry of Terni, the Residence Bizzoni is your reference place for a comfortable staying in Terni. Everything you need is here, within comfortable reach. Very close to the city centre, the Residence Bizzoni is synonymous with comfort, tranquility e reception. The Bizzoni Family welcomes you! 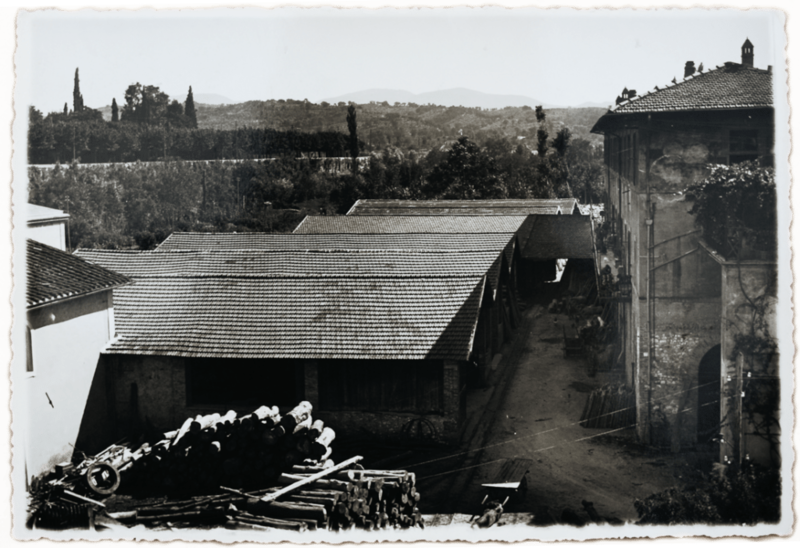 The Bizzoni Residence was born from the recovery of property in an area of one of the first industrial sites in Terni (1861), the “Bizzoni Sawmill“. 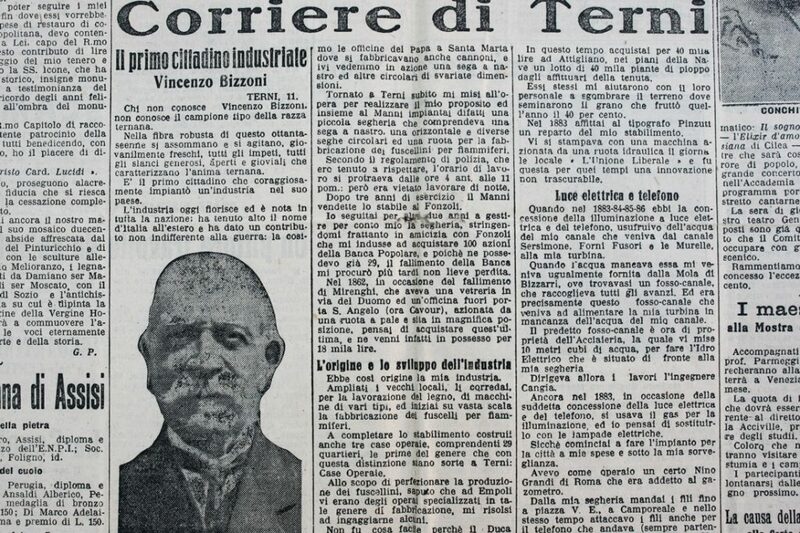 This was how Vincenzo Bizzoni was called in a newspaper article which appeared in “Il Messagero” in 1927 and included an interview with the eighty-year old founder of the homonymous sawmill. The sawmill began production in 1861 and was one of the most important in the region for a long time. 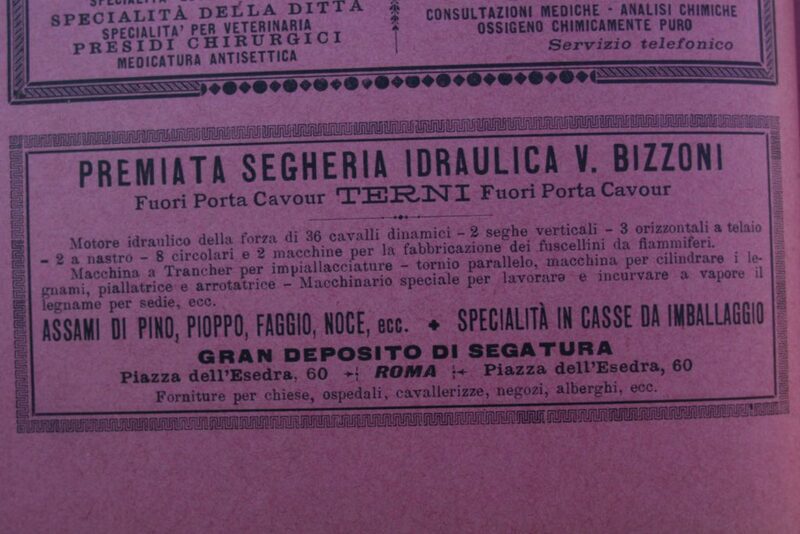 The quality of its products was widely known throughout Italy as well as abroad. 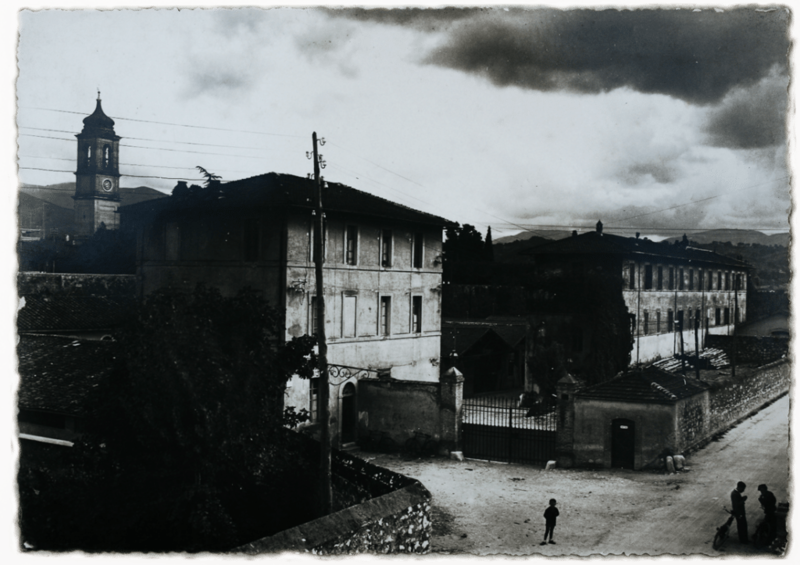 Between 1885 and 1887, the sawmill machinery was used for the production of the first illumination system in Terni (only for the town theatre, the houses and roads near Piazza Vittorio Emanuele). In 1887 the factory was fed by a 36 hp hydraulic turbine which drove two vertical, three horizontal, two band and eight circular saws, as well as two machines for the production of matchsticks. The primary productions were made up of a great quantity of packing crates plus beech wood and walnut chairs. 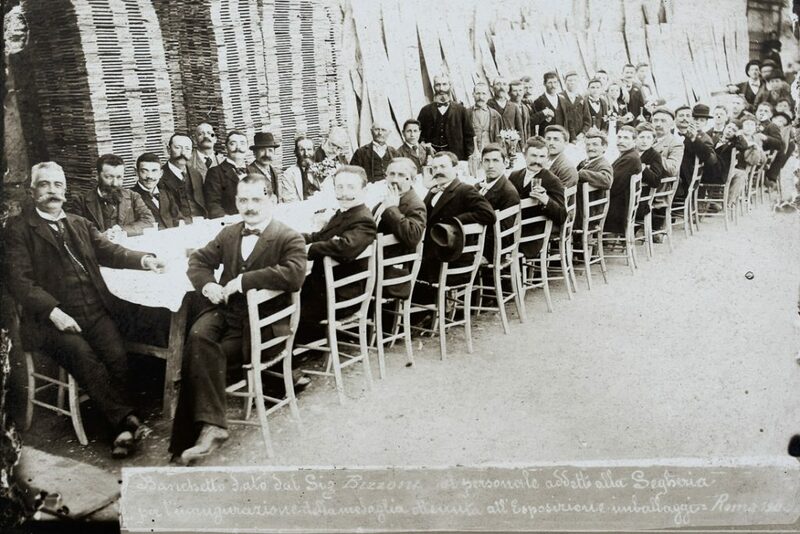 A large deposit of sawdust was also stocked at its branch in Piazza dell’Esedra 60 in Rome which was traded on a wide scale. 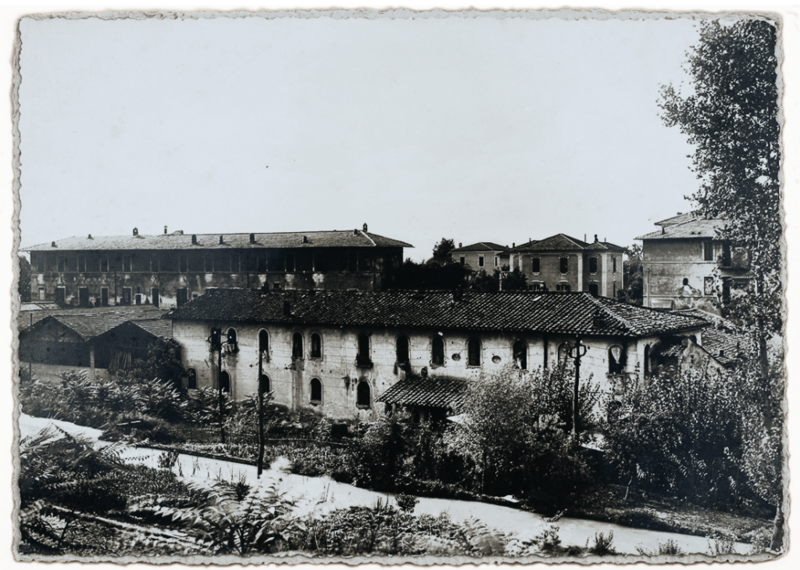 Bizzoni also built houses for its workers near the sawmill. The sawmill ceased activity in 1972.